Swan Lake | Zonyxa. Unique and contemporary jewellery for Work. Love. Play. This stunning statement necklace is a showcase of elegance. 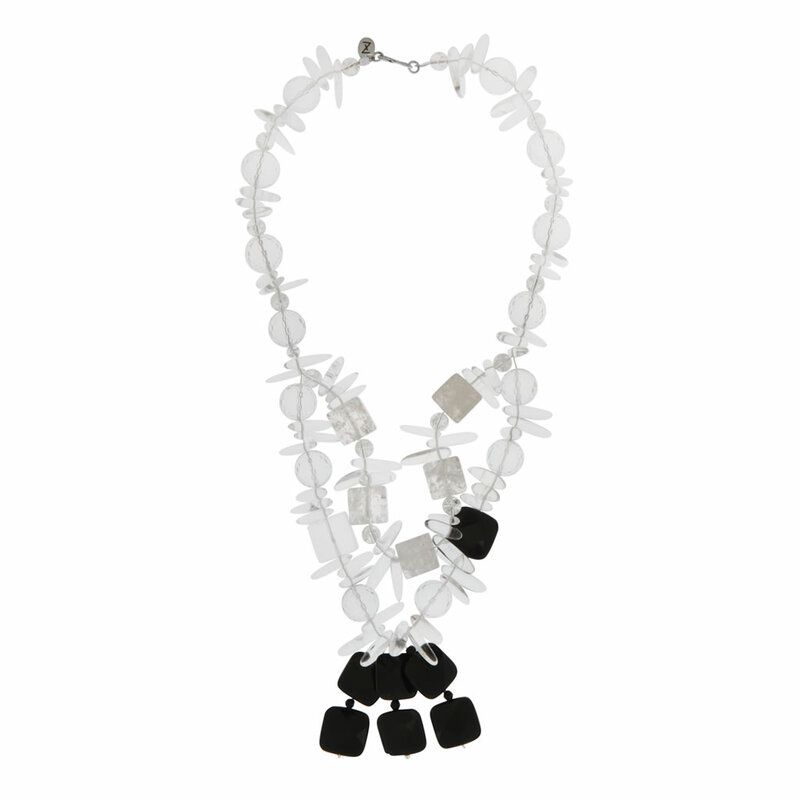 Designed from sparkling balls, cubes and chips of crystal and ice quartz, accented by faceted black onyx drop pendants. Wear with your glamorous, floor length, open-neck dress. Materials: Crystal, icy quartz and onyx.